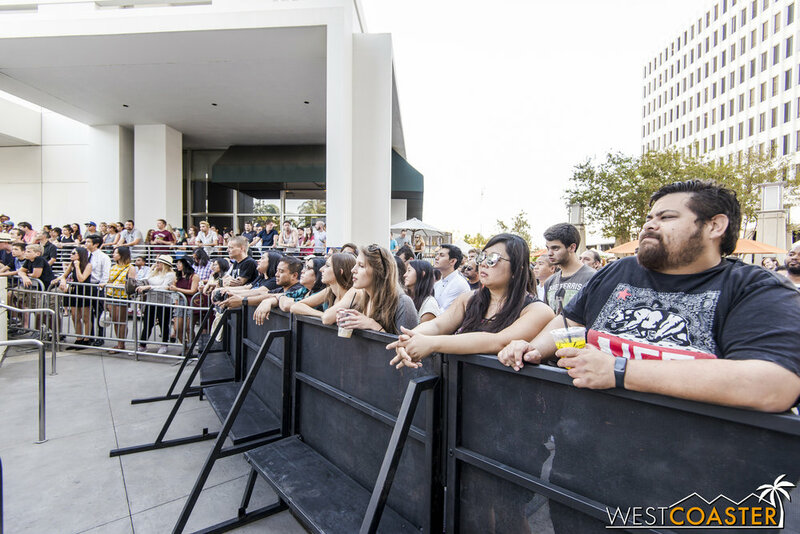 We takequick break from Halloween things again to look at another free music and food festival that took place yesterday in Pasadena. The Taste of South Lake has been an annual occurrence during the fall for the past half decade, and this year, it was back for another nice (if not rather warm) afternoon of food and music. 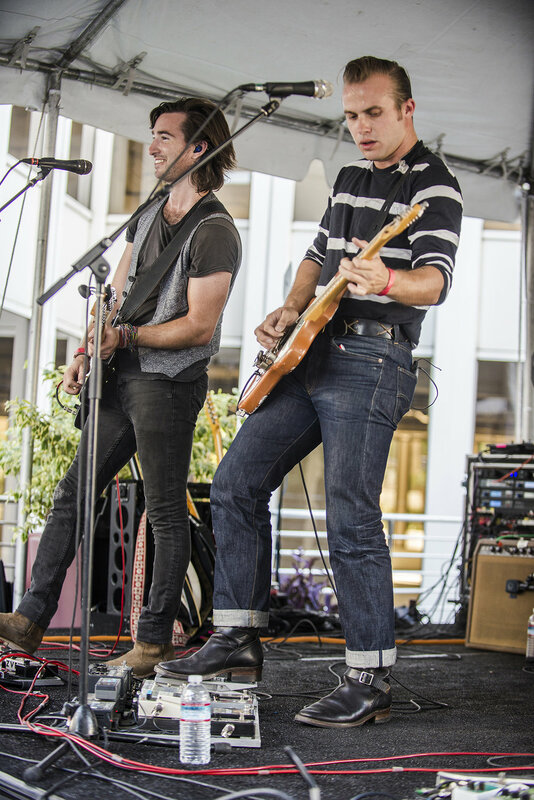 Similar to but much smaller than June's Make Music Pasadena festival, Taste of South Lake features free live music and booths with local restaurant purveyors and shops looking to get greater publicity for things Pasadena has to offer. Where Make Music Pasadena promotes tourism more for the Old Town Pasadena area, though, Taste of South Lake is basically one big advertisement for the area of Pasadena along Lake Street, more southeast of Old Town. I actually attended this last year because a local band that I really love (The Colourist) was playing. 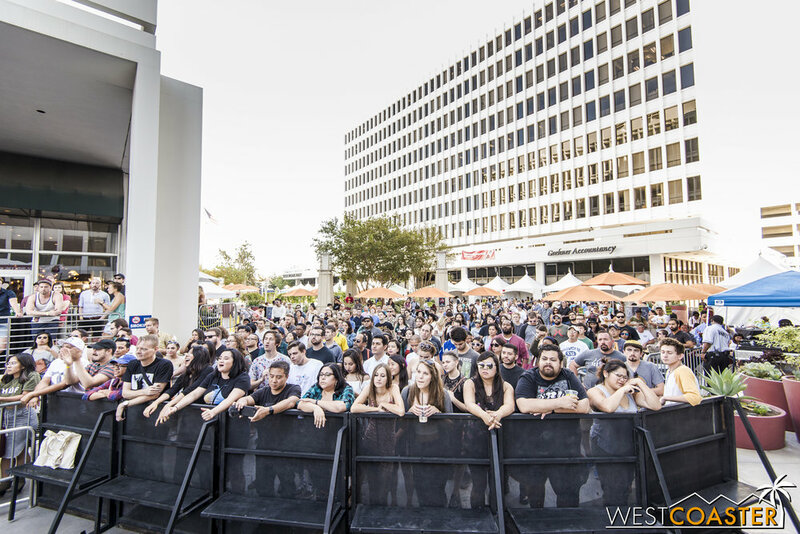 A few weeks ago, a representative from the event reached out to Westcoaster to see if we would be interested in covering the event, to which we happily accepted. 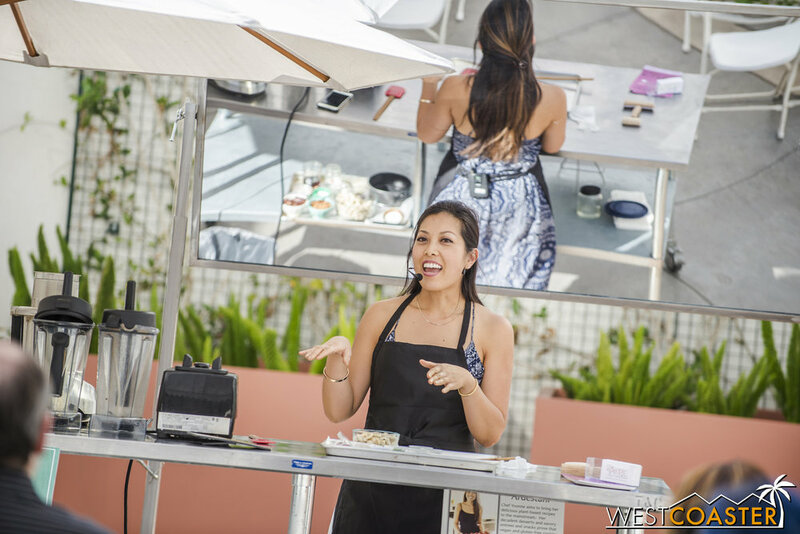 Set in the cozy courtyard of Corporate Center Pasadena, on the corner of Cordova Street and S. Lake Avenue, Taste of South Lake made for an enjoyable afternoon of food offerings, cooking demonstrations, and live music. The actual point of Taste of South Lake is to attract visitors and introduce them to some of the amenities this part of Pasadena has to offer. So there were eateries and stores set up with information or offerings (and lots of coupons) to parlay a guest of the festival into a patron of their actual establishment. 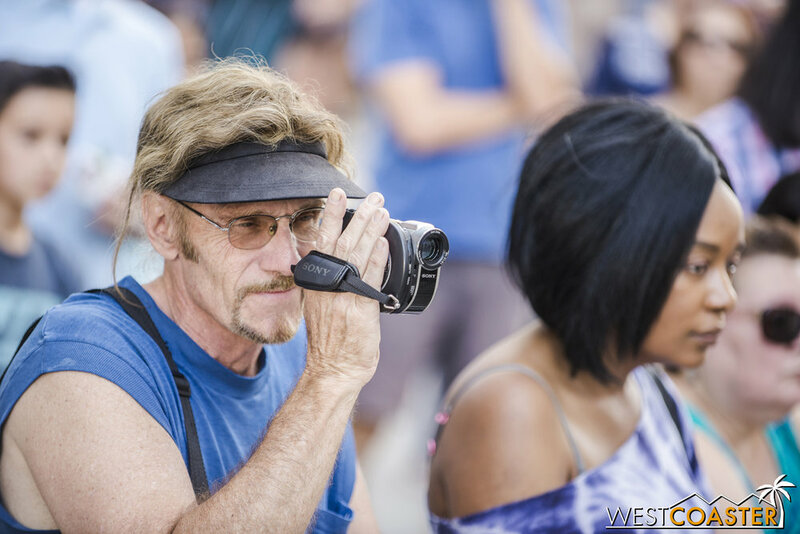 Some of the vendors were specifically local to Pasadena--independent businesses specific to the area. Others represented chains that happened to have a location nearby. 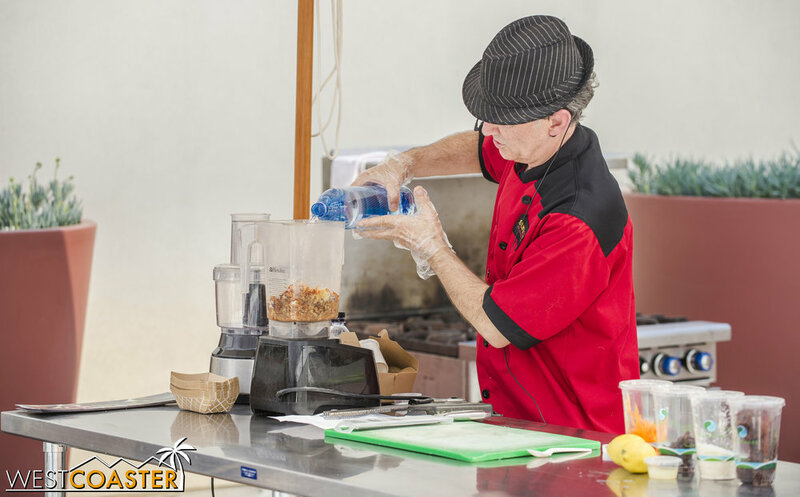 The food vendors were particularly enjoyable to check out, with many offering free samples for anyone to try, and others selling food but at a discounted price. Du-par's was back to offer free pancakes. Naturally, this was the most popular stall of the event. And they were delicious pancakes! 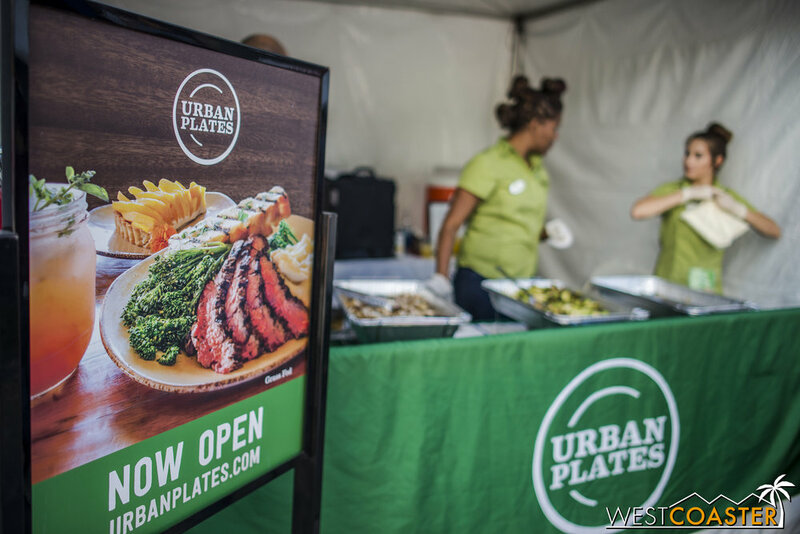 Urban Plates has recently opened up a location nearby and was giving out samples of some of its healthy-minded offerings. Free food? Why thank you! Roasted chicken and roasted brussels sprouts. They were pretty tasty! San Sai was also back from last year, offering tangy cole slaw or teriyaki chicken. A combo of the two plus rice was only $3--quite a bargain! 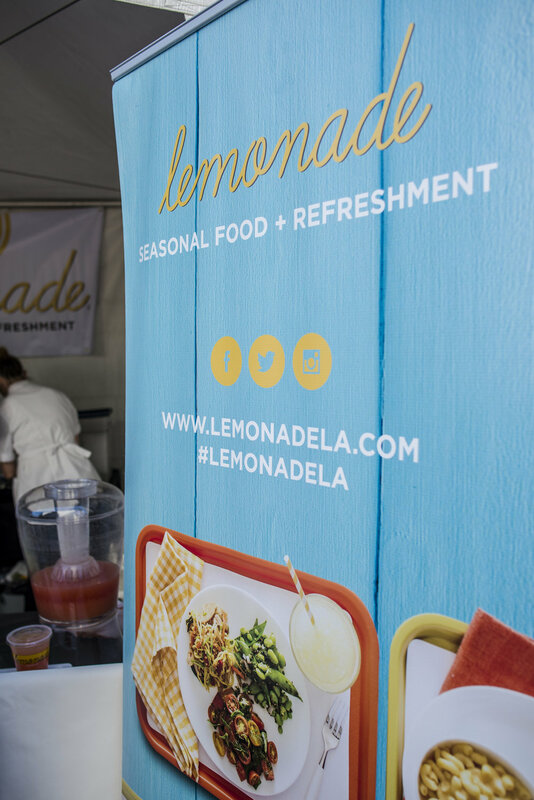 Though not strictly a local business, Lemonade was nevertheless on hand as one of several franchise chains representing establishments in the neighborhood. They were offering samples of two of their lemonades and also selling sweets and some side salads. Local vendor Real Food Daily offered cookies and chili. The chili came with corn bread. I wouldn't recommend eating it with the cookies at the same time. Ten Thousand Villages is a local boutique that works with artisans and craftspeople from all over the world to sell hand-made wares. They believe in featuring work with dignity and have all sorts of home furnishing and foodstuffs items. Nothing Bundt Cakes had mini bundt cakes for $1 each. They are pretty much my favorite cupcakes. 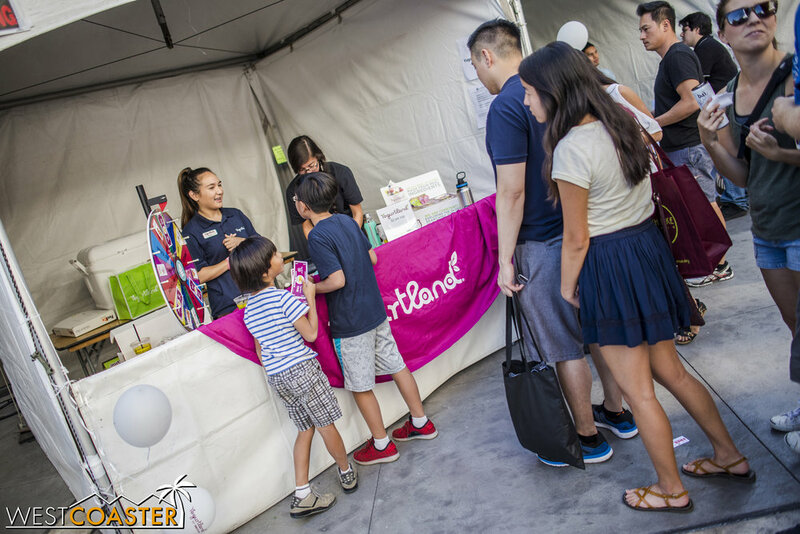 Yogurtland offered a wheel o' free stuff for fans of frozen yogurt. 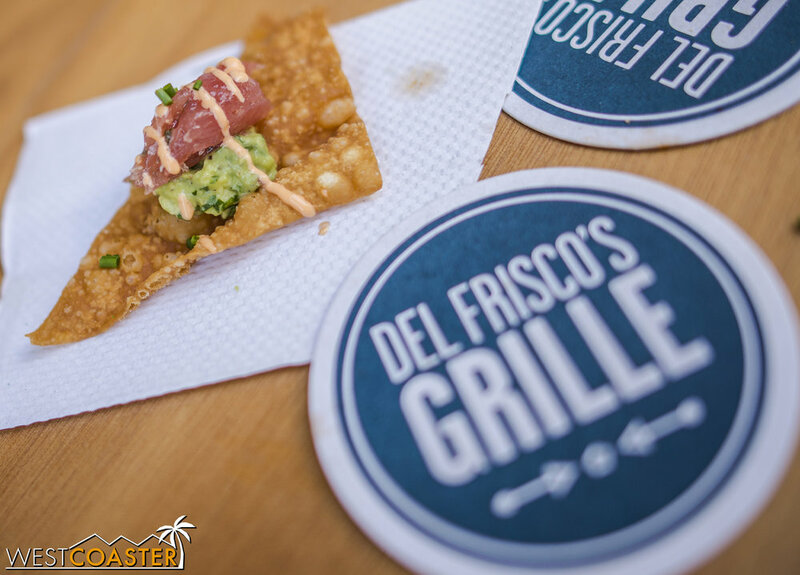 Local restaurant Del Frisco's Grille had "ahi tacos" (more like ahi tuna with fresh guacamole and a cilantro lime sauce over a sweet tortilla chip) samples. They were delicious! Which Which also had a wheel o' free stuff. Winners got coupons redeemable at the nearby Pasadena location across the street. Corner Bakery and Veggie Grill represented more local franchise establishments. Williams Sonoma was giving away a Le Creuset Dutch Oven. They were also selling seasonal treats. 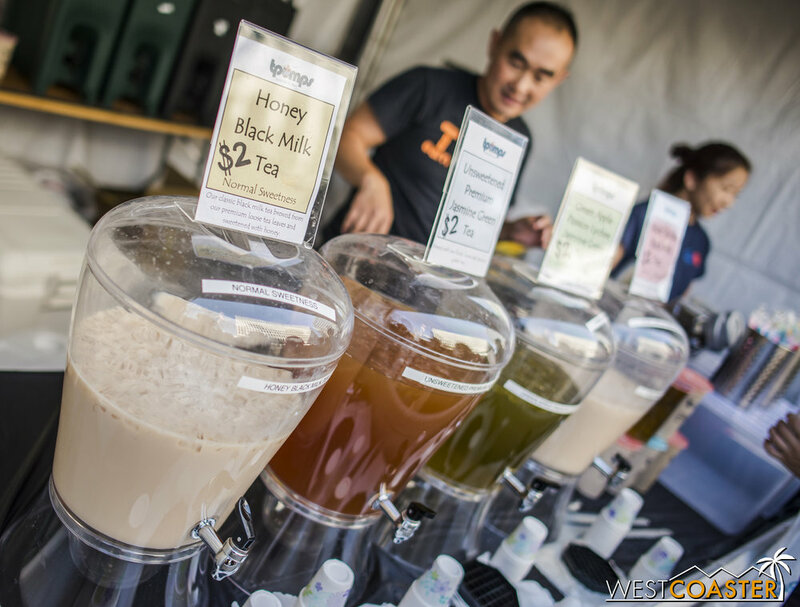 Tpumps had milk tea and Asian style teas for sample, and if anyone liked them enough, they could buy a cup for $2 (boba $0.50 more). Bai was also present promoting their flavored fizzy water product. Coffee addicts could also get their caffeine fix. Well, not a bad special. Someone wanted to be in a photo. And there were also a few stalls advertising cooking gear as well. 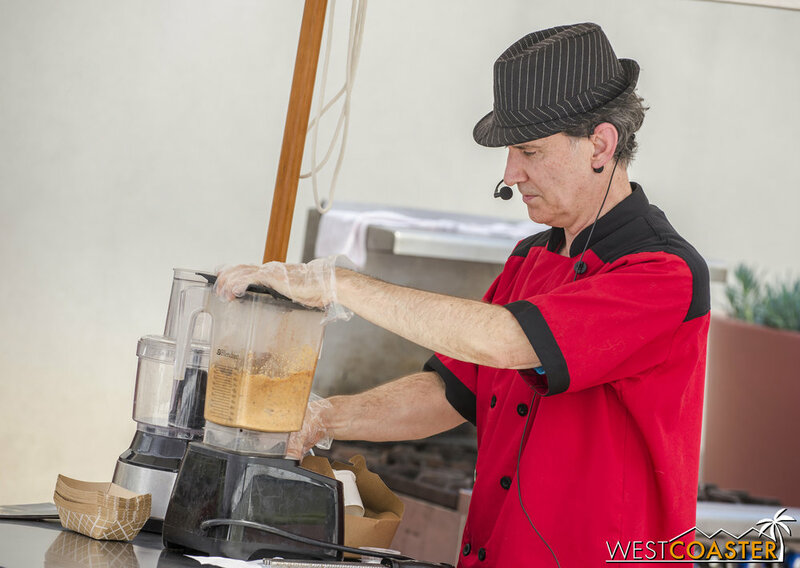 There were several cooking demonstrations for guests looking for culinary ideas or tips and tricks. The two that I briefly stopped by both coincidentally happened to focus around vegan cuisine and showed how to make a few tasty snacks. These were more sparsely attended than the other features of Taste of South Lake but provided a nice alternative (and a place to sit down) for those looking for a break. Off to the side, there was also a series of cooking demonstrations. Ronald Russell talked about some vegan snacks to make. Throwing ingredients in the blender. Explaining nuances of nutty snack being prepared. Later, Chef Yvonne Ardestani was on hand. 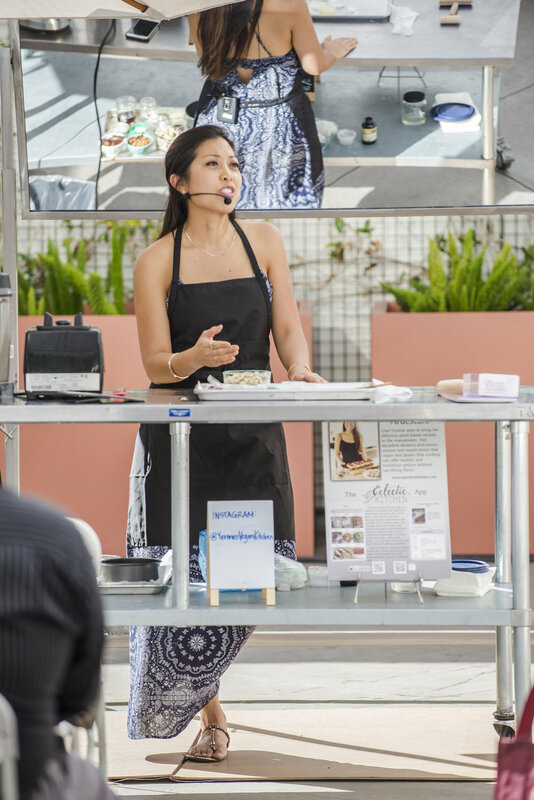 Interestingly, she was also demonstrating some vegan snacks and dishes. It's Southern California, though, so vegan diets are the trendy thing. And hey, it's healthy eating. It's not the diet I could ever do, but more power to those who are vegan. It was definitely nice to see a little bit of something for all types of dietary preferences. 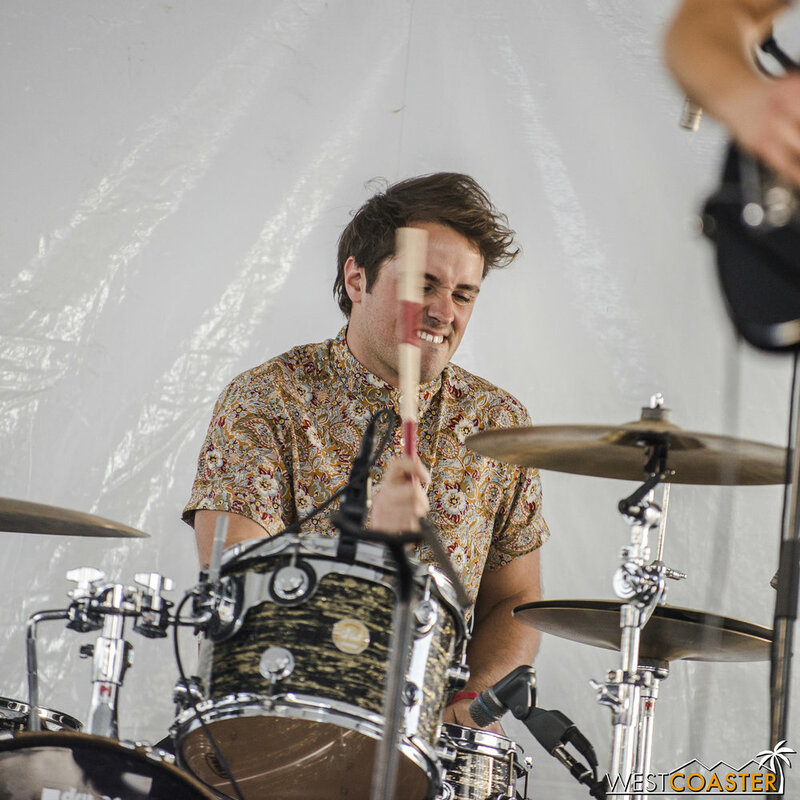 The primary appeal for me were the music acts accompanying the small festival. 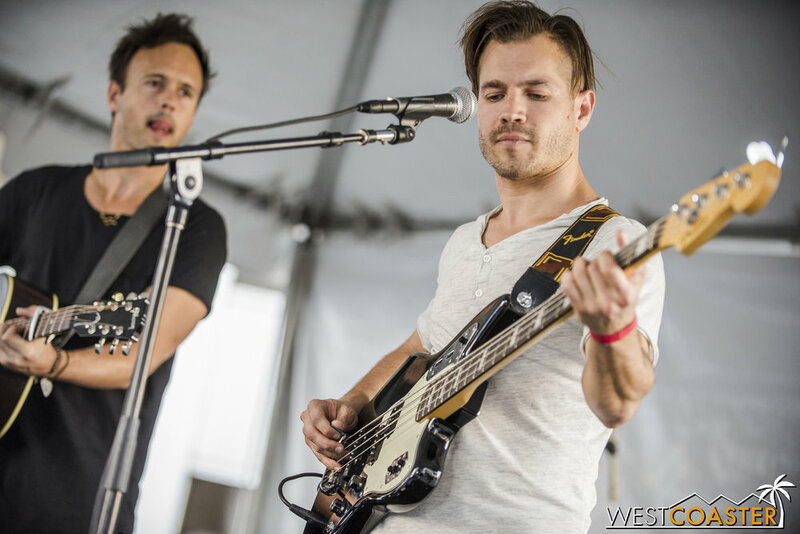 These were mostly up and coming or smaller name independent bands, but the event did feature headliner Atlas Genius, whose hit song, "Trojans" was probably something you couldn't escape from on the radio a couple of years ago. I arrived at the event too late to miss opening act the Nick Valentini Collective but was able to catch the remaining four acts (well, most of them). 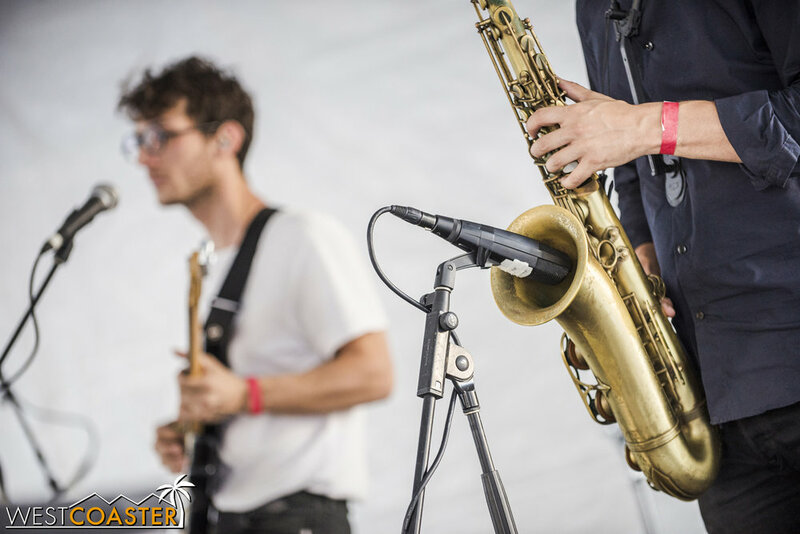 With styles ranging from jazz and soul fusion to indie psych pop and synth pop to alternative rock, the live music offered a little bit of something for almost everyone! 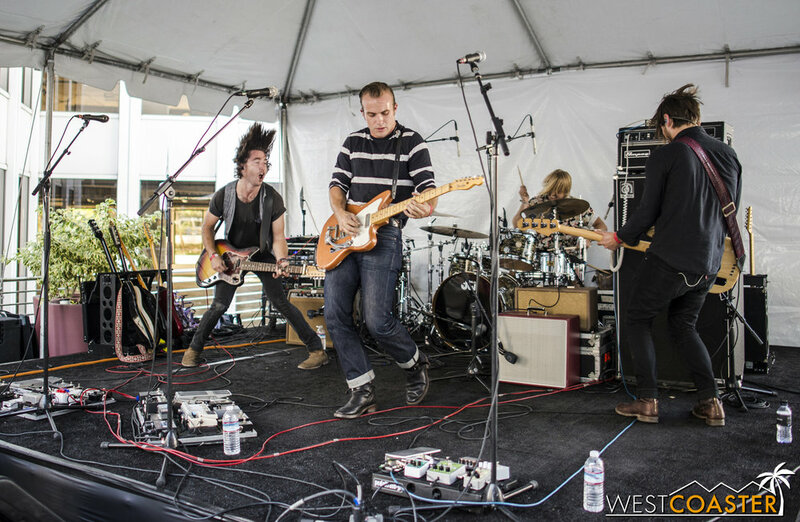 I was only able to catch the last couple of songs of this psych pop group local to Los Angeles. 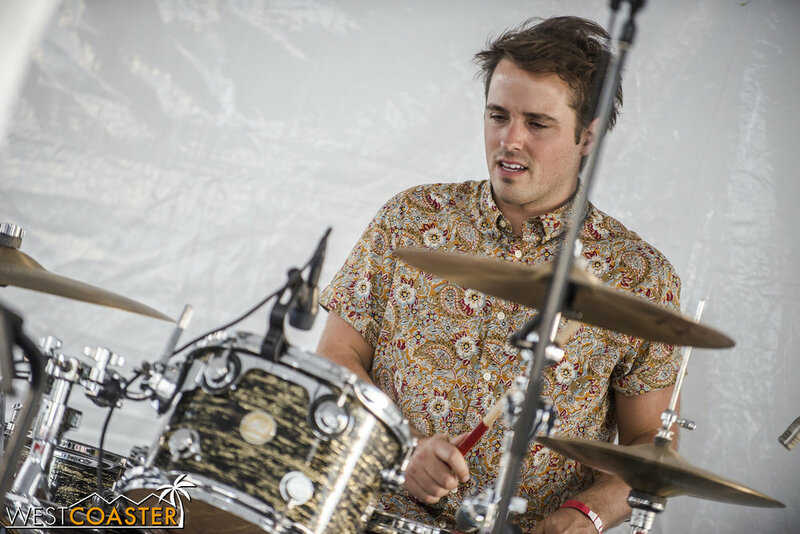 With an eclectic and melodic sound, they provided an easy going and relaxing jaunt to the early-mid afternoon, with just enough beat to encourage some head nodding. 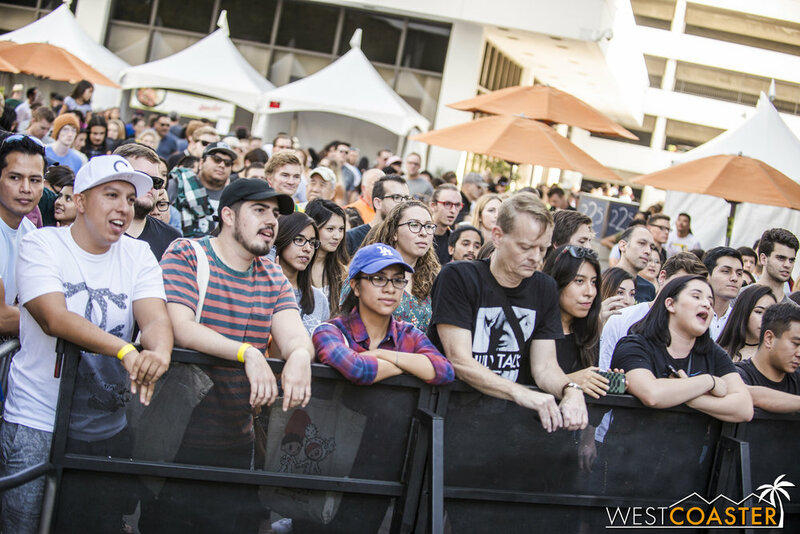 Between sets, KCRW DJ Raul Campos spun beats to keep the crowd entertained. 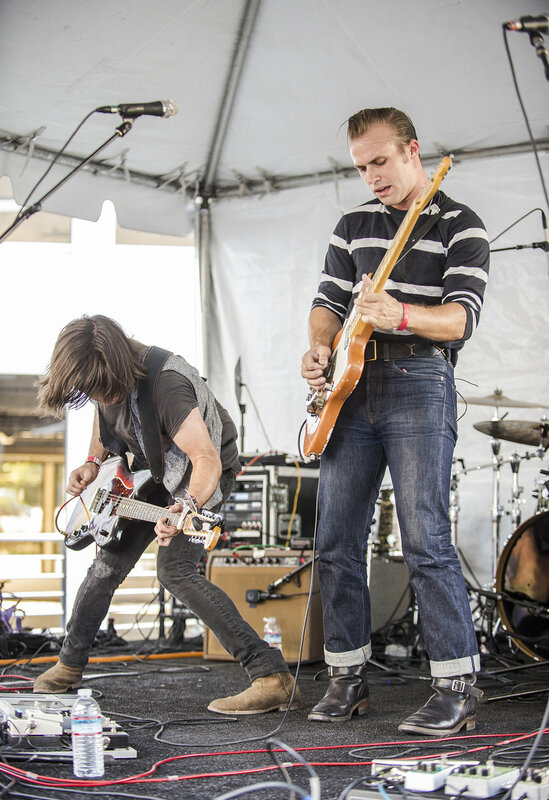 Another Los Angeles band, The Shelters was my music discovery of the afternoon. 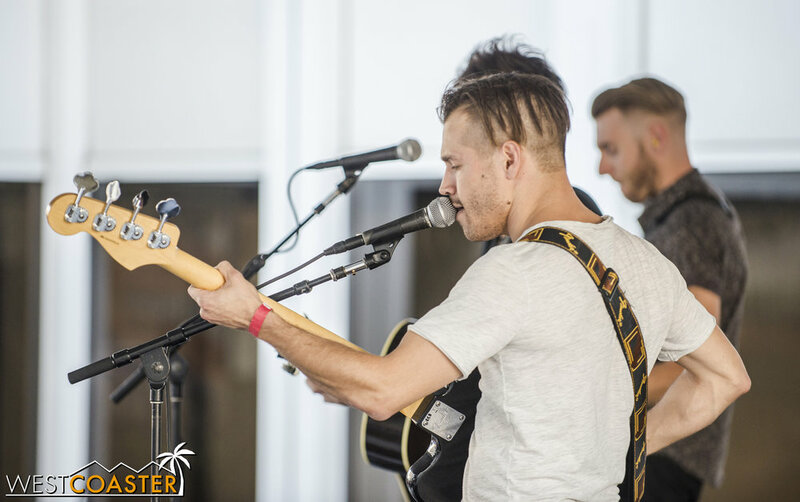 With influences from southern rock, and a little bit of country blues, this raw-sounded group put on a fantastic rock performance with multiple head banging guitar riffs and up tempo beats. 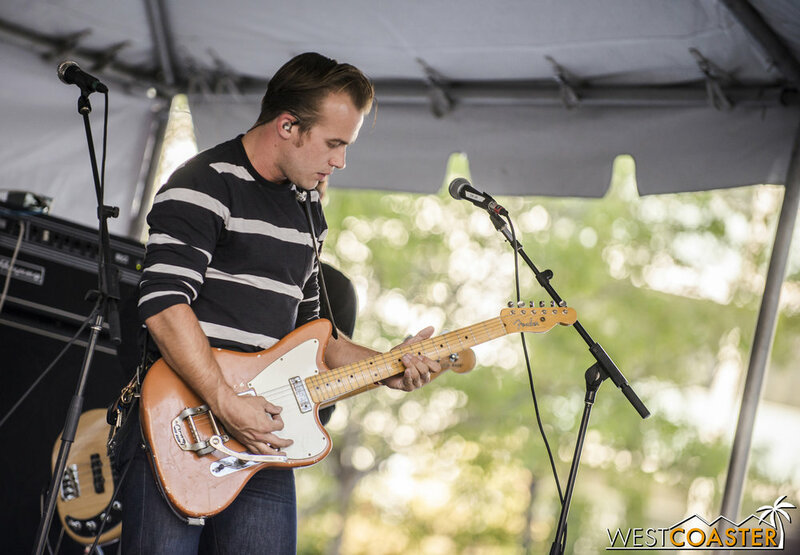 With a sound that ranged from the Arctic Monkeys to the Beatles, The Shelters definitely had a bit of a throwback sound to their music. And as it turns out, their debut album is produced by Tom Petty, which might explain some of these influences. In any case, they quite literally rocked and put on a good enough set that I actually bought their album on sale at the merch booth. 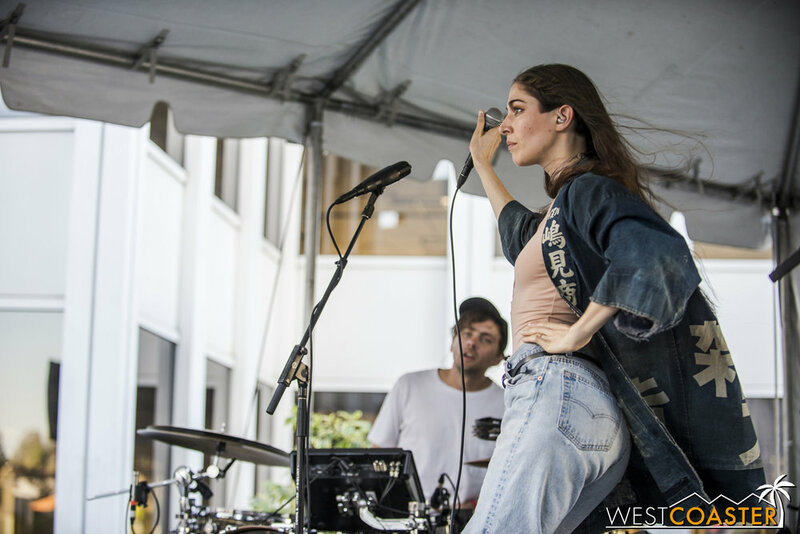 Synth pop band Chairlift, out of Brookyln, New York, brought out a pretty nice following in the crowd and jammed out a solid 45 minutes of indie pop and smooth instrumental harmonies. 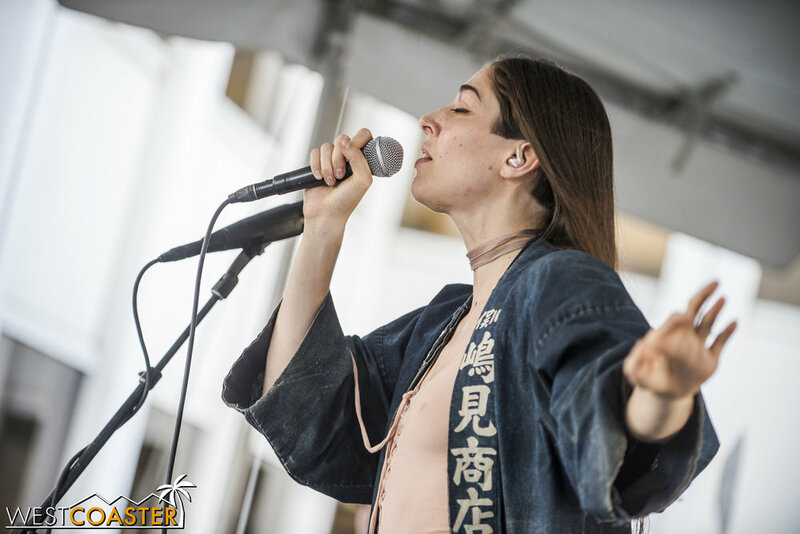 With a backing band alternating drums, rhythm and bass guitar, keyboards, and saxophone behind lead singer Caroline Polachek, Charlift had the afternoon crowd singing along and bobbing their heads to their catch melodies. Eventually, DJ Raul noticed that I was snapping shots of him between sets. 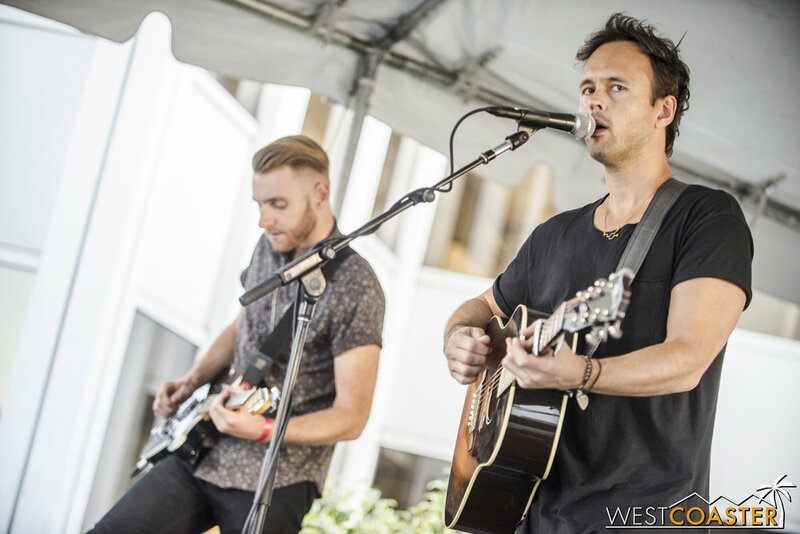 Austrialian-origin Atlas Genius closed out the afternoon with restrained but entertaining set fitting for the more intimate space of the courtyard venue. 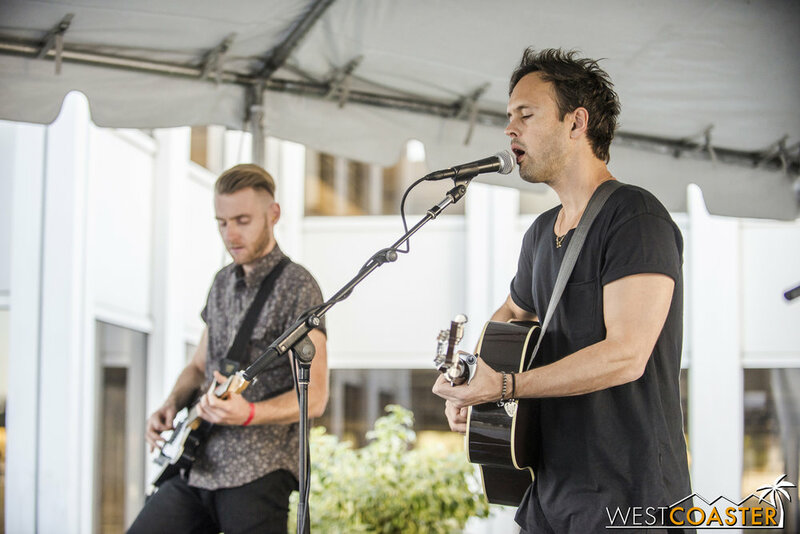 Atlas Genius had also played at Make Music Pasadena earlier this year in June, so it was a bit surprising to see them back at another free Pasadena music festival. But I enjoyed their gig four months ago, so I had no problem seeing them again. 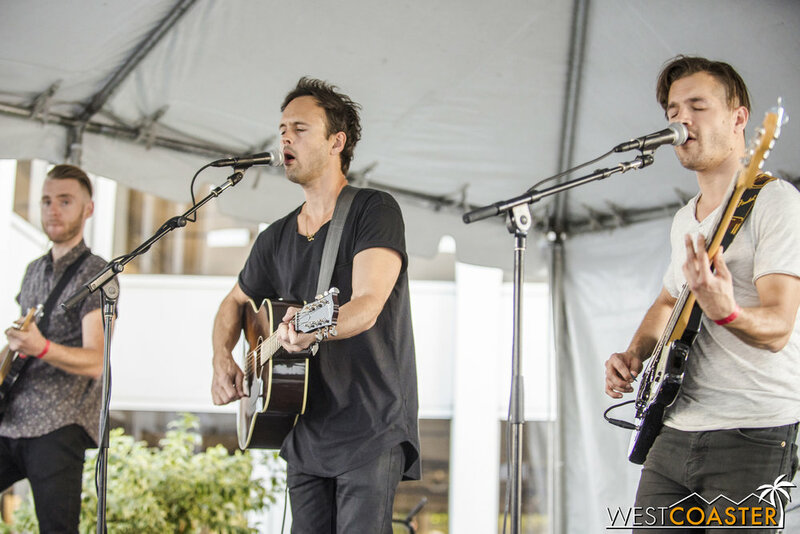 June's act was definitely louder and featured more rock than yesterday's set, which had lead singer Keith Jeffery sticking to an acoustic guitar for the entire set to lend a softer feel to the sound. Still, the band ran through hits like "If So" and "Molecules" in its 11-song set and even threw in a fun cover of Tears for Fears' "Everybody Wants to Rule the World. And of course, they closed things off with their big hit, "Trojans." All in all, this was a very enjoyable afternoon for live music and local food. 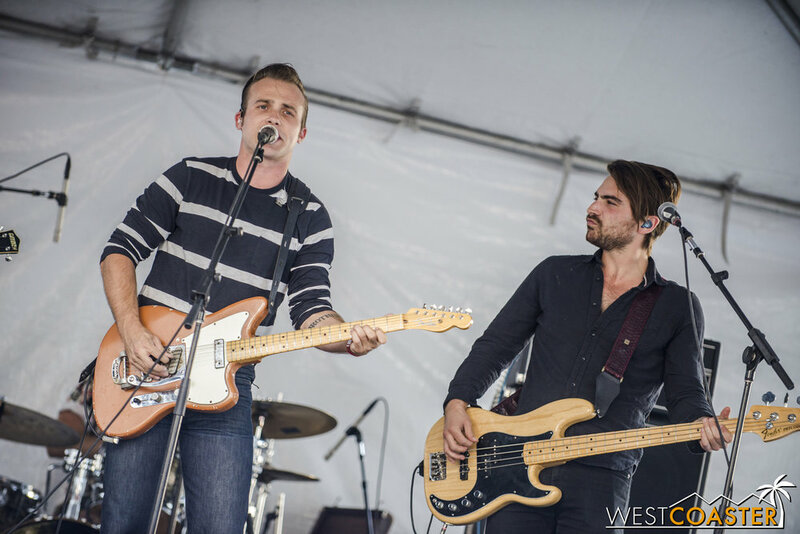 Thanks to the festival for having Westcoaster on hand. 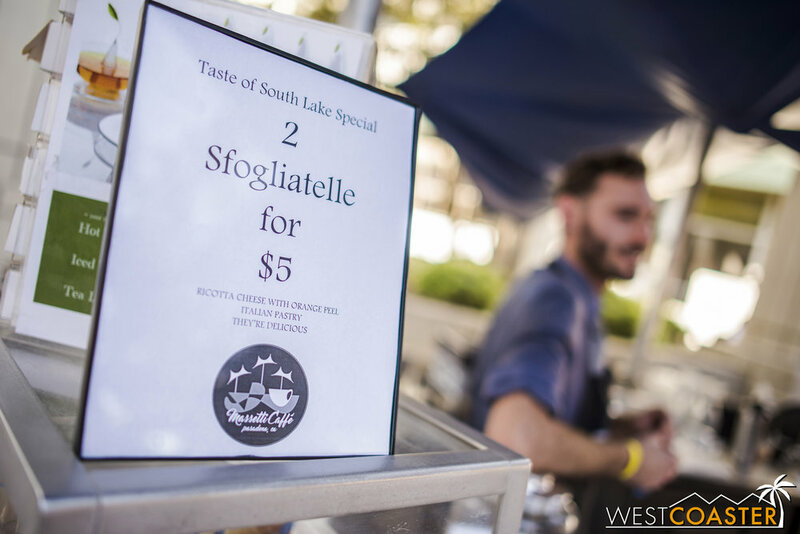 We look forward to seeing the Taste of South Lake back next year!